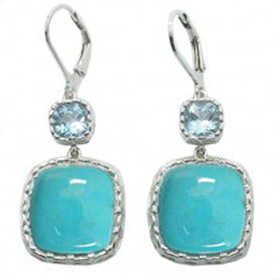 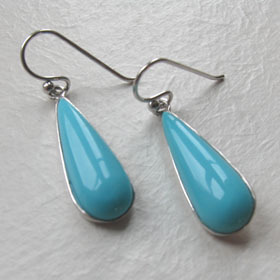 This stunning turquoise gemstone is dramatically coloured. 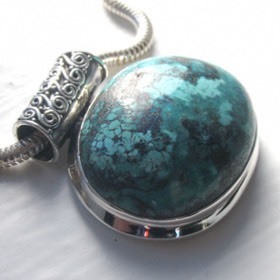 The colours and veining suggest you could almost be looking through the floor of a glass bottomed boat! 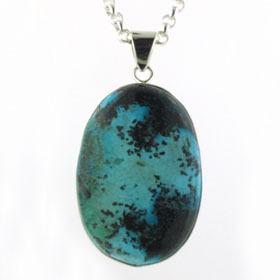 A mixture of aqua, kingfisher blue, emerald green and black create a gorgeous landscape. 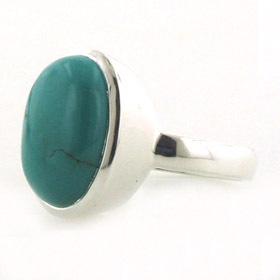 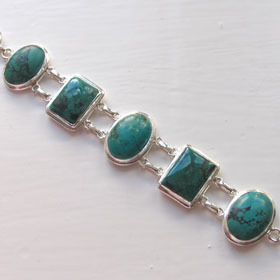 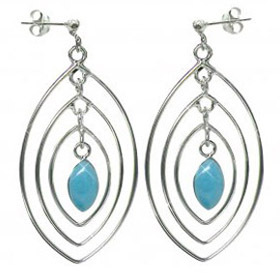 This turquoise stone is a substantial piece and set into a plain sterling silver frame. 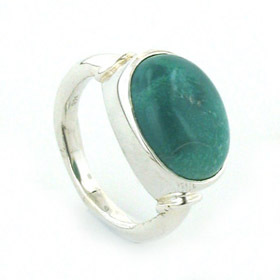 It is open at the back to expose the natural stone. 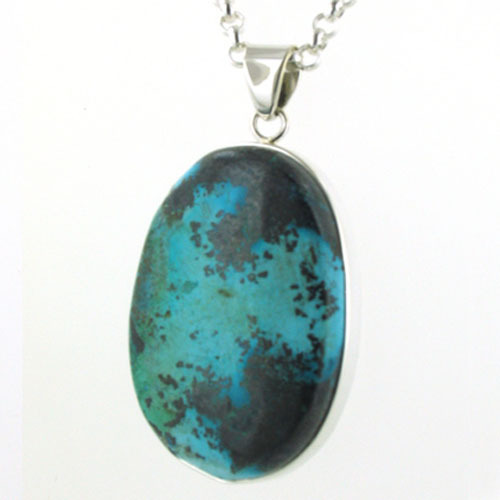 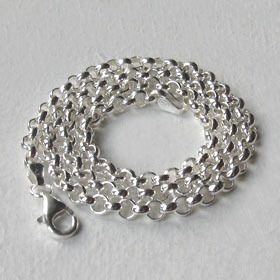 This turquoise silver pendant is photographed with our 4mm silver belcher chain. 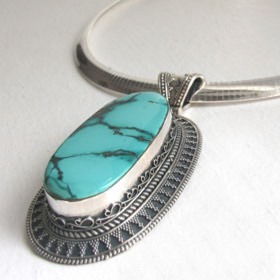 For a choice of sterling silver chains to wear with this turquoise pendant see our collection of Italian sterling silver chains.